Ad placement is the problem of putting an advertisement in exactly the right spot so that the people you are trying to reach will see it. This week I was at the Supercomputing conference in Portland. The density of iPhones at the conference is very high. 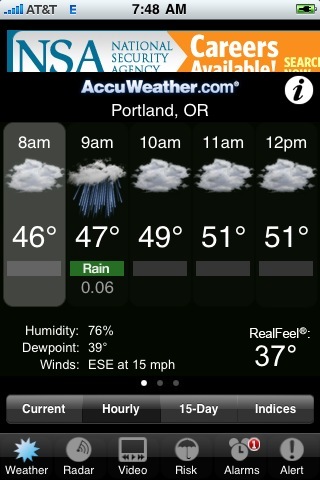 One morning I fired up my Accuweather app to find out if I should bring the umbrella. It is Portland after all! This is outstanding ad placement. You are looking for supercomputer geeks. They congregate in Portland, they have iPhones. They are going to check the weather. Score. 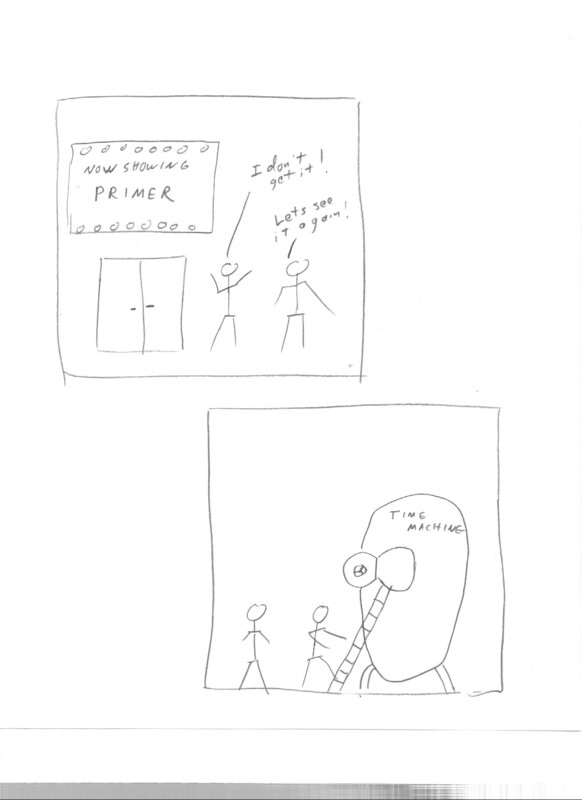 I am an avid reader of xkcd. Recently a cartoon on Movie Narrative Charts appeared. My immediate reaction, of course, was to search the Minuteman Library Network for an available copy of the time trave movie Primer.